Anastasia Beverly Hills has released a fabulous new powder palette called the "Contour Kit" which is sold out in several places including the Sephora down the street from me. I walked into Sephora and spoke with several of the women working there. They gushed about how fabulous the Contour Kit was and they could not WAIT to get it. It was sold out everywhere and all their friends that had it said it was their FAVORITE palette in their collection. So when I got the chance to try out the palette I was more then excited to check it out. First of all, the key to contouring and highlighting your face is to know your face shape and how you want it to appear. I have a natural thin face so contouring isn't always a good thing for me, since it almost sometimes makes my face look TOO thin. And you don't want a TOO THIN face. I always though contouring was more for girls with a fuller face. I was so wrong. The Kit comes with 6 gorgeous colors. The top row is 3 powders Vanilla, Banana and Sand. These are used to highlight your face. 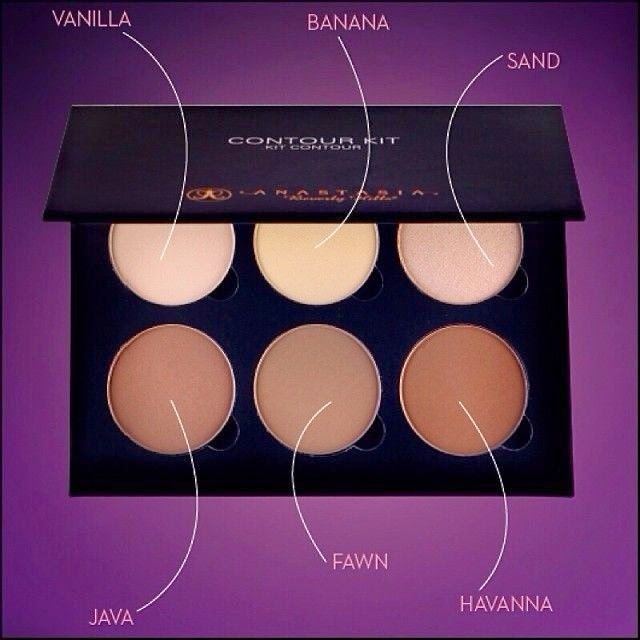 The 3 bottom colors, Java, Fawn and Havanna are used to contour. 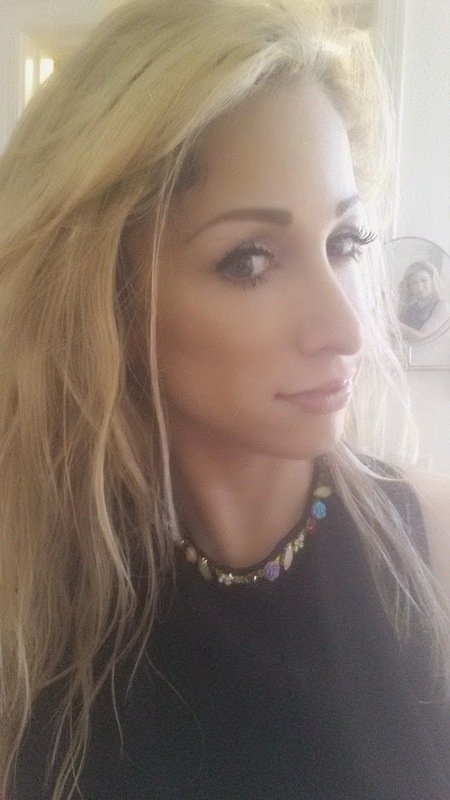 Contouring is all about shadowing and creating an illusion of depth to your face. Pretty simple right? There is a way to make your face look flawless with the kit, but when done incorrectly you might look like a clown or just downright silly. The kit sells for $40 at Anastasia's website and Sephora. The size of the shadows is rather big so this palette could last you a very long time, so I think the price was fitting if not rather affordable for what you get. If you've never contoured before, please take note of these steps: I will tell you what I do to contour my face each day. - Make sure you start with a cleansed face if and if possible exfoliate first. Also use a primer before your foundation. You want your skin to look as smooth as possible so the contour looks perfect and won't smudge or spread around your face looking like dirt. Yuck. Nobody likes nasty dead skin. Use a foundation that is the correct color for your face. 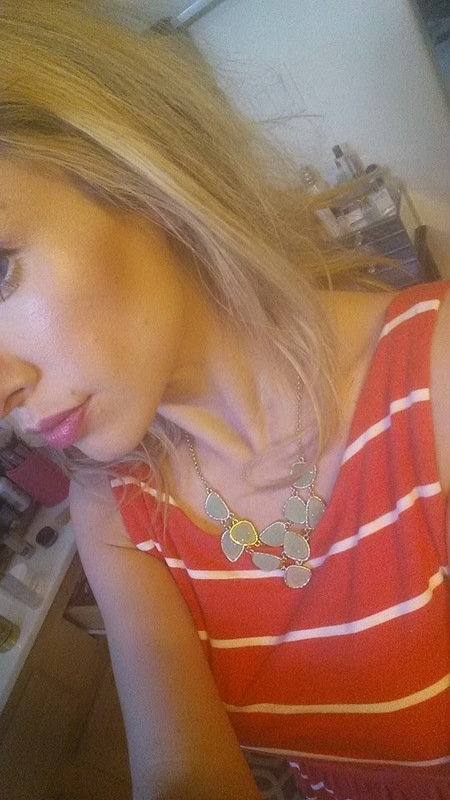 If you opt for a DARKER foundation that is too dark for your skin, then your contour will look extra goofy. This is the mistake I've seen a lot of girls make. Hello! Using a darker foundation won't make you look any tanner. It will make you look like you don't know how to apply your makeup. - Use the right brushes. Although the brush I've been dying to have is sold out at NARS I try to use a bronzer brush that looks similar to a blush brush or something that's thinner then others. Make sure it's clean and somewhat rectangular. - Feel where the bones are in your face. 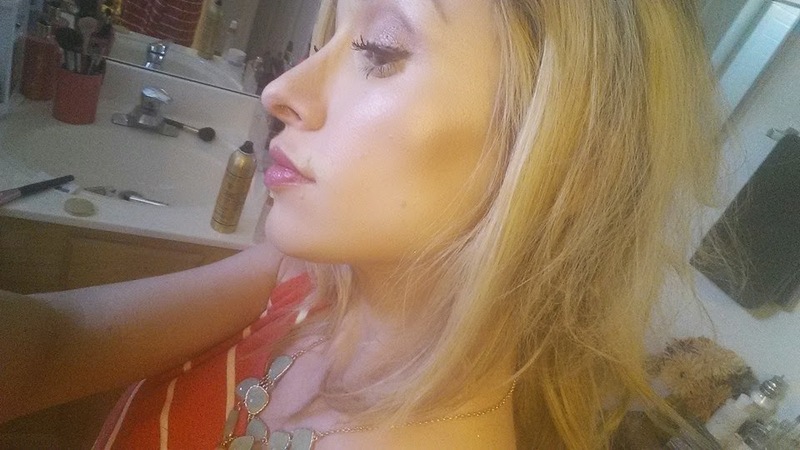 The first step is finding the cheekbone where you're going to want to apply the contour color. If you're unsure or you can't feel what I'm talking about take your finger or something with an edge like a piece of paper and start at the top of your ear and slant it down towards your lips. That is where you will want to apply the contour color. I like to mix "Java and Fawn" from the kit with a slim brush right in this area. Make sure you apply it even so you don't look lopsided. Start at your hairline above your ear and stop about where your eye starts. Then take the brush and outline by your hair line and jaw line. Blending not needed just yet. 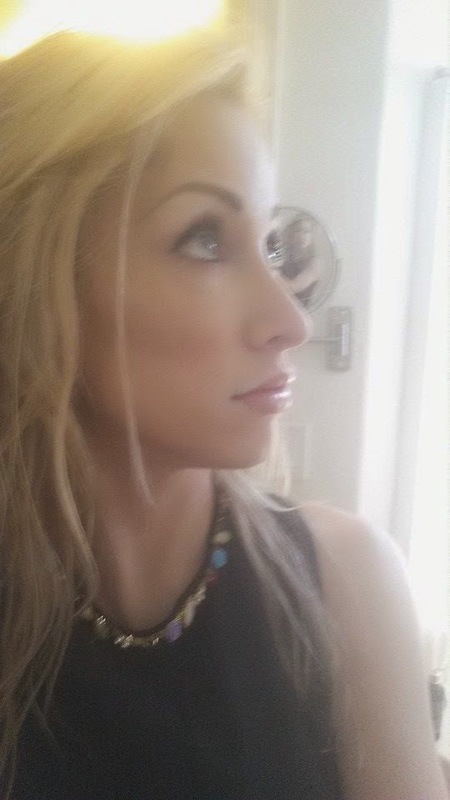 You can also contour your nose, but since I already have a rather thin nose this is something I choose not to do. There are also tons of You Tube videos out there that are helpful if after this you are still unsure about where you want to contour. - BEFORE you contour apply a concealer or a Prep below your eyes. This will set the stage for your "highlighting area" Use a shade 2 shades lighter then your foundation. I also apply this to spots possibly on my forehead and around my lips. - After you've applied the contour color, I take a large brush. ( Sigma brush I have is the F25 Tapered Brush) and I apply a mix of Banana and Vanilla and press it over the original concealer or prep I had applied earlier. This is a step I know not many people do, but I choose to do as a bit of an extra effort to get rid of dark circles. Apply around the eyes and the bridge of your nose. At this point I have a line where the contour starts and the highlight begins. Then I will blend. Do you get the idea? I don't like to go for a "drastic" contour only because I'm so pale. When I get darker come Summer I hope to have a better look to show you how I really "contour and highlight"
The Anastasia Beverly Hills Contour Kit is available for $40 at Sephora and Anastasia's website. Get it soon before it sells out! If you have never contoured before this is the best kit to buy. 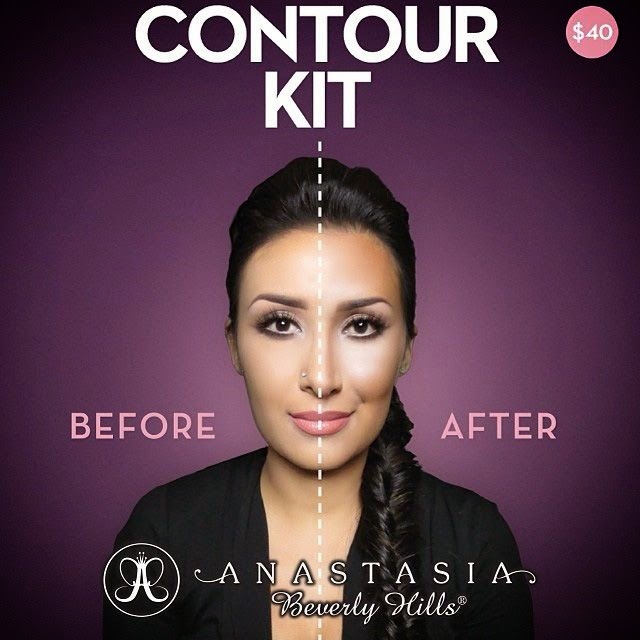 Anastasia has tutorials on their site, as well as You Tube so you can get an idea of step by step ways on looking your best and what colors to use. LOVE love LOVE this kit. Totally can't live without it. I was so curious about this- thanks for the review! I have a similar skin tone to you, so seeing it on was awesome!